Nicole Kidman waved to our driver after they spoke for few minutes, as if they were old friends. Ray Liotta gives us a wave as at stoplight. 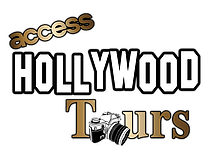 Hollywood is still a place of endless surprises and adventures, and Access Hollywood tours manages to run into the hottest stars in Hollywood. Whether they’re out shopping, partying, or simply working out, celebrities seem to be drawn to Access Hollywood’s iconic blue buses. Over the course of Access’s time giving celebrity homes tours, our drivers have run into many headlining celebrities. In the Hollywood Hills alone, we’ve run into numerous rich and famous stars. All of the are from across the glamourous film sphere, ranging from TV to music and movies. Access Hollywood Tours’ drivers always find the best stars—including Lionel Richie. The legendary Lionel Richie could be found in the Hollywood Hills, as one of our drivers passed him entering his home in the Hollywood Hills. We’ve also run into some of his neighbors, like comedian Dana Thomas Carvey. Carvey was actually rolling around in a dune buggy and welcomed our Canadian tourists to America. Carvey is known as a Saturday Night Live alum and for numerous film roles. Comedians to be easy to spot during a Hollywood tour, as our driver Chris Kyles caught funnyman Anthony Anderson in Beverly Hills on Rodeo Drive. Anderson’s hit show Black-ish is actually filmed in the luxurious neighborhood of Beverly Hills. Chris Kyles also ran into Deon Cole, another Blackish cast member and a writer for Conan O’Brien’s Conan, as well as a cast member on IFC’s lauded Angie Tribeca. Cole greeted all of Access’s tourists with friendliness and enthusiasm. While comedians are always friendly to our celebrity homes tourists, we also run into musicians and esteemed actors. DJ Khaled has arguably become a staple in mainstream pop culture. With his record-topping song catalogue of hits like Rihanna’s Wild Thoughts, the rapper/singer/producer also spreads positivity on social media and in person, as our guests found out when driver Chris Jr. ran into the artist in his Rolls Royce. Selena Gomez, a breakout Disney star and pop star, as Raekwon the Chef from the acclaimed Wu-Tang clan at the Hollywood sign overlook. If Runyon Canyon wasn’t enough, our tourists ran into Ray Liotta with driver Chris Jr. Liotta starred in Goodfellas, one of the best movies ever made, and currently headlines Shades of Blue with Jennifer Lopez. Rounding out our star-studded tours is the regal Nicole Kidman. Chris Sr. caught her at stoplight in Hollywood, and she featured us on her Instagram! Kidman holds numerous awards, including an Academy Award and five Golden Globes. She currently headlines the HBO series Big Little Lies, which has already amassed great acclaim from critics and audiences alike. Only with Access Hollywood Tours could you experience these monumental celebrities. Join us to access more of Hollywood!